Why Use Videos in Geriatric Medicine Teaching? I teach first year medical students about the awesome world of geriatric medicine. I am a family medicine-Care of the Elderly trained doctor who loves her work, and although I am dutifully teaching about all the sacred geriatric syndromes (falls, confusion, frailty, etc. ), my main motivation is to help (very) young medical students start to see why I fundamentally love my patients – because they are truly wonderful human beings. Many students, most of whom are under 25, have little or no experience with seniors, particularly in health care settings, and some have unfortunately had negative experiences. Regardless of their experience, they, like all of us, are often bombarded by negative portrayals of older adults in the media. Pediatrics (cute babies and kids – unfair advantage), Genetics (the future of medicine according to everyone, with cool, high-tech tricks), and Musculoskeletal (broken bones! surgery! trauma!). I know my patients can take any of these competing patient populations in terms of general coolness, but my students don’t always realize this. I have often invited my patients to come to class to discuss their experiences in the interdisciplinary outpatient program in which I am based, but due to their general frailty, this often doesn’t work out, and even when it does, there are many logistics barriers that must be overcome (such as a lack of accessible parking, but I digress). My solution? I use carefully selected YouTube videos in class. I show these videos mostly at the beginning of class, so it also takes care of the (super-rare … or not) incidents of students arriving late for an 8:30 a.m. class, and missing my carefully constructed, brilliant opening teaching gambit. Below, I have included a selection of the videos I use, including some information about how I found them, and why I use them. This is one of the first videos I used, and it remains a fan favourite. Dancing Nana is 88 years young, and her grand-daughter takes her out for lunch every week. On this week, her grand-daughter played one of her grand-mother’s favourite songs, and you can see what happens next. This video also illustrates one of the challenges of YouTube videos. The original video has had the audio blocked due to a copyright complaint. So far, as of today (February 2016), the music is intact here. Why do I love it? Because Dancing Nana is real. She’s just like many of my patients. She has a great outfit, complete with her personal alarm system in place, and she puts her purse down to dance down the stairs. She is aging (she’s 88!) and but she loves life, and her granddaughter takes her out to lunch every week. It’s perfect. It’s also a good length to show in class – 2.5 minutes long. How did I find Dancing Nana? I searched “old person dancing” on YouTube back in 2013. Complex search strategy, n’est-ce-pas? I show this video before I teach about prescribing exercise to the elderly. I can’t think of a better introduction. This is a video I can use before any of my teaching sessions. This is a lovely little video full of humour and poignancy. Older adults in a care home in the UK provide “Pearls of Wisdom” – which reflect lifetimes of experience. This video makes me smile, and (sometimes) can make me tear up. The folks are eloquent, witty, and have obviously thought about what they are going to say – and each Pearl reflects their individual personality, which then shines through. The stars of the video really demonstrate the great spirits contained in older bodies, which are often frail. It really helps us appreciate the person and not the disease, age, or condition. I choose it because it demonstrates that one’s humanity does not depart upon admission to a care home. Hal Lasko is an amazing 97 year old man, who was losing his vision, and his grandson introduced him to a software program that allowed him to continue to “paint”. The video is in fact produced by a huge company (you’ll see if you watch the movie) but it’s really all about the amazing art that Hal can make using technology. I think this video truly “smashes stereotypes”. Hal’s cognition appears very much intact, at the age of 97. He has embraced technology, and he makes art that most of us could never hope to make. He has a passion, and he pursues it, despite his disability. How did I find Hal? I was searching for another video, since taken down, about “Old man painting”, and Hal popped up. I do address explicitly in class that I have no financial affiliation with the company in question, nor have I ever used the product. I wish it wasn’t a commercial, but it is, so I just discuss it explicitly. I have decided not to use other videos that were produced by pharmaceutical companies, as I am not comfortable with the implied endorsement. Some videos are just plain fun, and need to be shown. This one was posted by a friend of mine on Facebook (sometimes these videos just fall in my lap), but also by a number of first year students after I started to show the videos in the geriatrics unit. It’s a great resource. It’s impossible for students to ignore at the beginning of class and it works better than coffee to wake up in the morning. It’s got great seniors being, well, funky. It’s very clever. I often point out that many of the seniors are “too young” for me, in terms of the patient population I see, but it’s important to me to show healthy aging at all ages. This is my all-time favourite teaching video. It’s actually much too long to show in class in its entirety, but it is so well done, that showing 3-5 minutes worth hooks many of my students. I give you, the BBC’s 100 Year Old Drivers. I encourage you to watch the first 5 minutes, but I should probably warn you not to do this unless you’re ready to devote 46 minutes to frequent, uncontrollable bursts of laughter. This video is actually a perfect teaching video for those of you who might have to teach about determining medical fitness to drive. If you do, you’re likely like me, and you dread it. Or rather, I used to dread it, until I found this video. Now, I love teaching about driving. I use clips from this video to illustrate many features of aging and how they may (or may not!) affect driving safety. In addition, it leads to a great discussion about differences in regulations in different countries. In this case, I embed the YouTube link into my slides (insert hyperlink works well), and I note when to start and stop the video right on the slide, and I post the link to the full video for my students. I’ve received very positive feedback from students about my use of videos. It’s great to see students smiling as they watch these great folk, all of whom remind me of my own patients. Instead of seeing one patient in class, they see many over the course of my unit. Although some of the videos are more professionally produced than others, so long as the sound is clear, and the image is reasonably clear, I will consider using them. I try to match something to my teaching session, but even if I can’t, I still start with a video. I have elected not to show videos that are negative in tone or portrayal of seniors, and I’m explicit with my students about this. They will see enough of ageist attitudes, and people treating seniors like children/problems/not worthy of care over and over and over again in their health care training, sadly. I aim to challenge stereotypes, have my students question their assumptions, and, ultimately, to have them think of their first year geriatrics unit with a smile. In fact, every year, students themselves send me videos to use in class – which I view as a major victory in my efforts to engage students with the awesomeness of my patients! 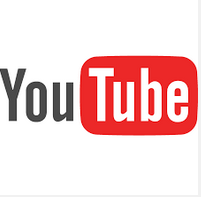 4 thoughts on "Smashing Stereotypes Using YouTube™ in Teaching – a Geriatric Medicine Perspective"
Hi Dr Gibson – This was a great article and really hit home for me. I just finished reading “Being Mortal” and I have found myself thinking a lot lately about how I can improve my practice with regards to the care of elderly, frail (or not!) patients in the peri-operative period. I was curious if you had any resources that might inform that, as I am thinking I will be giving my grand rounds presentation in June on Peri-Operative Optimization and Management of the Elderly Frail Patient. Thanks for the interesting article. http://www.youtube becomes http://www.ssyoutube and press enter, follow instructions. Thanks Kanji! Mostly my issues are when the video is taken down due to copyright issues. I’ve not had issues running YouTube videos at Queen’s, but they are sometimes blocked in some other settings (my hospital, briefly but not anymore). Thanks for the tip!